Students who want a helping hand with homework, writing papers or studying need look no further than the Salt Lake Community College Tutoring Lab. SLCC provides free tutoring for subjects such as biology, chemistry, physics, reading, math, languages, computers, writing and accounting. “We have textbooks for all the main math classes and most of the textbooks for the science classes that students can borrow as long as they remain in the tutoring lab,” said Tutoring Lab office clerk Shirley Turley. The Tutoring Lab’s offers focused tutoring, which pairs the student with a tutor for the duration of the semester. Applications for focused tutoring are accepted until one week before classes start. The second, less structured option is a simple walk-in. The lab tutors are available to help students with homework. “The tutors are very helpful with homework and they are very knowledgeable in the subjects that they tutor,” said physical therapy student Hamilton Zortez. Zortez goes to the tutoring lab four days a week after he gets off of work so he can get extra help with homework. Although his experience in the tutoring lab is limited to math, he says that he will make use of the Computer Lab and Writing Lab tutoring services when he starts his corresponding computer and writing classes. “We work with students with any writing class on assignments and papers,” said Student Writing Center coordinator Clint Gardner. Gardner makes it clear that the Writing Lab services are not a source for proof reading, rather a source where students can learn how to write better papers. The Writing Lab also offers online tutoring. More information about this can be found at www.slcc.edu/swc/. There will soon be workshops posted online to assist students with extra tips and help that they need. “We are in the process of videotaping some workshops on how to study better that will be available on our website,” said Turley. This new addition to the tutoring lab will be more convenient for students who are at home studying, all they have to do is go to the website and watch the videos. 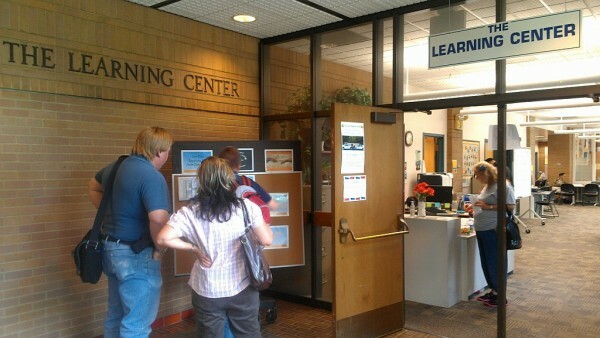 For more information, visit SLCC’s tutoring website at www.slcc.edu/learningcenter.